The Ratner Awards were announced in December to recognize faculty for making a difference in students' educations, lives and careers. Candidates are chosen for creative teaching and exemplary records of engaging, motivating and inspiring students. Each Ratner Award includes a $10,000 cash prize, as well as a $10,000 teaching account to fund future projects. Ronald Ratner served on Ohio State's Board of Trustees from 2007 to 2015, appointed by former Governor Ted Strickland. Ratner is currently director and executive vice president of development for Forest City Realty Trust, Inc., a real estate investment company based in Cleveland. Deborah B. Ratner is the founder of ArtWorks, a Cleveland-based arts apprenticeship program and Reel Women Direct, an award for women film directors. In 2014, they generously gave $1 million to establish the Ronald and Deborah Ratner Distinguished Teaching Awards. In addition, Forest City Realty Trust donated space in Cleveland at Tower City for The Ohio State University Recruitment and Outreach Center, aimed at increasing the overall college-going rate for the greater Cleveland area. 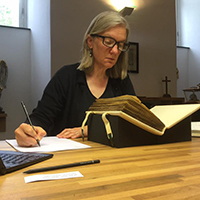 Alison Beach teaches medieval European history in a way that brings this period alive to students. Her classes mix traditional lecture with problem-based learning, and they incorporate role playing, simulation activities, field trips and engagement with primary sources. Her May study abroad course in Ireland, which is co-taught with an archaeologist, is an example of interdisciplinary teaching at its best. Students in her classes reenact key events to understand them in a new way, such as convening the 1138 War Council of Acre to debate the concept of Just War or baking Viking-era bread. Professor Beach convenes a monthly student medieval club and has inspired some of her students to pursue graduate degrees in medieval studies at top programs around the world. Her teaching combines a commitment to the traditional liberal arts with an equally strong commitment to experiential learning. The Ratner Award will allow Beach to continue this commitment by increasing access to the study abroad program. 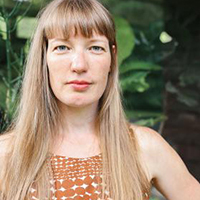 Kris Paulsen’s excellent teaching of contemporary art and cinema garnered her the college’s Rodica C. Botoman Award for Distinguished Teaching in 2015, and it’s easy to see why. Paulsen challenges her students to analyze art and film in ways that are sophisticated and engaging. In her classes, readings in theory and philosophy are paired with hands-on, experiential learning. She has expanded opportunities for students to think about the public importance of art by creating courses in which they collaborate with her on mounting exhibitions. She has been a driving force behind the new master’s program in contemporary art and curatorial practice, which will enroll its first students this fall. Her service as chair of undergraduate studies and leader of the department’s curatorial club has been accompanied by extensive student advising. Paulsen proposes to use the Ratner Award to enhance the curatorial curriculum through site trips and collaborations with professional curators. Squires also has a commitment to collaborative engagement. She provides cultural “touchstones” that help students see everyday words through a critical lens — whether puzzling over the phonetic basis for a misheard word in a Beyoncé song or using computer software to investigate grammatical patterns in their own writing. 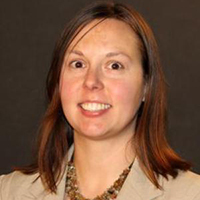 Squires has shown her commitment to affordability and accessibility by developing an online text book with a grant from the Office of Distance Education and eLearning, and plans to use the Ratner Award to develop mobile apps for use in English linguistics courses. 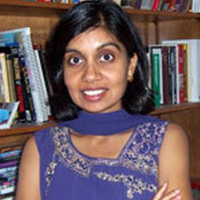 Mytheli Sreenivas brings an interdisciplinary expertise in the history of sexuality and the family to a pedagogical vision that, in her words, aims to “create an environment in which students are recognized for what they bring to the classroom, where they are pushed to grapple with what is unfamiliar and where we engage in a process of collective research and inquiry.” Professor Sreenivas has been particularly successful in motivating students to undertake independent research as part of their studies, as well as engage in community outreach. Students in her History of Feminist Thought course compiled an online oral and archival history of feminist action on Ohio State’s campus. Thanks to a grant from the Office of Service Learning, students in her Reproductive Rights and Justice course partnered with community organizations to formulate research questions and combine theory and practice. Sreenivas will use the Ratner Award to continue the digital history project, as well as expand the network of community partners in her service-learning course. 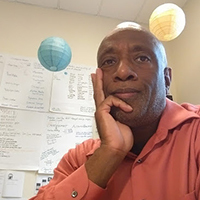 Brian Stone has inspired a steady stream of majors in visual communication design through his commitment to project-based learning and problem solving, as well as fostering a deep understanding of and reflection on the principles of design. As Chair of the Department of Design Mary Anne Beecher puts it, “Brian’s students maximize their ability to practice design and to see connections between theory and practice.” Professor Stone has been particularly innovative in establishing collaborations that help students hone their skills. For example, his students visited Taipei, Taiwan, to present their work to a leading consumer electronics company. Last year, he facilitated a trip to San Francisco that enabled visual communication design senior students and faculty to visit leading technology and design companies. With the Ratner Award, Stone intends to amplify these enrichment opportunities by developing a long-term collaborative project with one of the design firm in San Francisco.